Late Wednesday afternoon, the FDA announced that Aubagio (teriflunomide) has been approved for adults with relapsing forms of MS. Below you will find the FDA announcement, a Reuters news report, abstracts for 12 academic studies published between 2006 and 2012 regarding teriflunomide and oral medications in development for MS, and the Genzyme press release regarding the FDA approval of Aubagio (teriflunomide). As I am the type of researcher/reader who likes to have easy access to complete information in one place. I thought that you might appreciate the following collection of abstracts/links. Many of the studies are open access (meaning you do not have to pay for access) and downloadable. I have a few pdf copies of ones which are not open access, published in the Multiple Sclerosis Journal. September 12, 2012 – The U.S. Food and Drug Administration today approved Aubagio (teriflunomide), a once-a-day tablet for the treatment of adults with relapsing forms of multiple sclerosis (MS). (Reuters) – September 12, 2012 – Sanofi's multiple sclerosis pill, Aubagio, is set to reach the U.S. market, after the Food and Drug Administration gave a green light on Wednesday. Aubagio is one of the two multiple sclerosis treatments the French drugmaker is relying on to return to growth after the loss of several blockbuster drugs to generic rivals. "In a clinical trial, the relapse rate for patients using Aubagio was about 30 percent lower than the rate for those taking a placebo," Russell Katz, director of the Division of Neurology Products at the FDA, said in a statement posted on the drug regulator's website. The European regulator is expected to give its response on Aubagio in the first quarter of 2013. Compared with older therapies for MS, Aubagio has the advantage of being an oral drug. But it has produced less impressive results in clinical tests than other oral treatments and has failed to show it was better than Merck's Rebif, a commonly used injectable drug for MS, although Aubagio has milder side effects. Analysts expect the drug could find favor among newly diagnosed patients, since around 35 percent to 40 percent of MS patients prefer to take no medication rather than face unwanted side effects. MS pills Gilenya by Novartis and Biogen Idec Inc's BG-12 are seen dominating a market that JPMorgan analysts predict growing to $14 billion in 2015 from $9.6 billion last year. Aubagio is seen grabbing a much smaller chunk of this market, reaching modest sales of $353 million in the United States and five major European countries by 2020, according to business intelligence firm Datamonitor. Multiple sclerosis, which has no cure, affects 2.5 million people worldwide. It is a chronic, often disabling disease that attacks the central nervous system and can lead to numbness, paralysis and loss of vision. In addition to Aubagio, Sanofi has filed MS injectable drug Lemtrada with regulators. Despite a recent setback at the FDA, when the regulator asked Sanofi to refile its marketing application for the drug, Lemtrada could be launched in 2013 if it wins approval. BACKGROUND: The Teriflunomide Multiple Sclerosis Oral (TEMSO) trial, a randomized, double-blind, placebo-controlled phase III study, demonstrated that teriflunomide significantly reduced annualized relapse rate (ARR), disease progression and magnetic resonance imaging (MRI) activity, with a favorable safety profile in relapsing multiple sclerosis (RMS) patients.Objective:The purpose of this study was to report the effects of teriflunomide on ARR and disability progression in pre-specified subgroups. METHODS: RMS patients (n=1088) were randomized to placebo or teriflunomide, 7 mg or 14 mg, once daily, for 108 weeks. Subgroup analyses were performed for ARR and disability progression by baseline demographics (gender, race, age), disease characteristics (Expanded Disability Status Scale (EDSS) strata, relapse history, multiple sclerosis (MS) subtype), MRI parameters (gadolinium-enhancing lesions, total lesion volume) and prior use of MS drugs. A generalized estimating equation method and Cox regression model were used to assess consistency of the treatment effect across subgroups, utilizing a treatment-by-subgroup interaction test for each factor separately. RESULTS: Reductions in ARR and disability progression were consistent across subgroups in favor of teriflunomide, with no treatment-by-subgroup interaction test reaching statistical significance. CONCLUSION: The positive effects of teriflunomide were demonstrated consistently across subgroups in TEMSO. Freedman MS, Wolinsky JS, et al. Teriflunomide added to interferon-β in relapsing multiple sclerosis: a randomized phase II trial. Neurology. 2012 Jun 5;78(23):1877-85. Epub 2012 May 23. OBJECTIVE: To evaluate teriflunomide as add-on therapy to ongoing stable-dosed interferon-β (IFNβ) in patients with relapsing forms of multiple sclerosis (RMS). METHODS: A total of 118 patients with RMS were randomly assigned 1:1:1 to receive oral placebo or teriflunomide, 7 or 14 mg, once daily for 24 weeks; 86 patients entered the 24-week extension. The primary objective was to evaluate safety; secondary objectives were to evaluate the effects of treatment on disease activity assessed by MRI and relapse rate. RESULTS: Teriflunomide was well tolerated with a low and similar incidence of treatment-emergent adverse events (TEAEs) across the 3 groups; TEAEs led to treatment discontinuation of 4.9%, 8.1%, and 7.9% of patients in the placebo, 7-mg, and 14-mg groups, respectively. The number of gadolinium-enhancing T1 (T1-Gd) lesions was reduced in both teriflunomide groups, with relative risk reductions (RRRs) of 84.6% (p = 0.0005) and 82.8% (p < 0.0001) for 7 and 14 mg, respectively, compared with IFNβ alone at 48 weeks. T1-Gd lesion volume was also reduced in the 7-mg group (RRR 72.1%, p = 0.1104) and 14-mg group (RRR 70.6%, p = 0.0154). A trend toward dose-dependent reduction in annualized relapse rate was also noted (RRRs 32.6% [p = 0.4355] and 57.9% [p = 0.1005] for 7 and 14 mg, respectively). CONCLUSION: Teriflunomide as add-on therapy to IFNβ had acceptable safety and tolerability and reduced MRI disease activity compared with IFNβ alone. Classification of evidence: This study provides Class II evidence that teriflunomide, 7 and 14 mg, added to IFNβ, is safe. The T1-Gd lesion burden was significantly reduced with both teriflunomide doses. Confavreux C, Li DK, et al. Long-term follow-up of a phase 2 study of oral teriflunomide in relapsing multiple sclerosis: safety and efficacy results up to 8.5 years. Mult Scler. 2012 Sep;18(9):1278-1289. Epub 2012 Feb 3. BACKGROUND: Teriflunomide, an oral disease-modifying therapy in development for patients with relapsing forms of multiple sclerosis (RMS), was well tolerated and effective in reducing magnetic resonance imaging (MRI) lesions in 179 RMS patients in a phase 2 36-week, placebo-controlled study. METHODS: A total of 147 patients who completed the core study entered an open-label extension. Teriflunomide patients continued their assigned dose, and placebo patients were re-allocated to teriflunomide, 7 mg/day or 14 mg/day. An interim analysis was performed at a cut-off on January 8 2010. RESULTS: The mean and median duration of study treatment, including both the core and extension phase, from baseline to the interim cut-off, was 5.6 years (standard deviation: 2.7 years) and 7.1 years (range: 0.05-8.5 years), respectively. Of 147 patients, 62 (42.2%) discontinued (19% due to treatment-emergent adverse events (TEAEs)). The most common TEAEs were mild infections, fatigue, sensory disturbances and diarrhoea. No serious opportunistic infections occurred, with no discontinuations due to infection. Asymptomatic alanine aminotransferase increases (≤3× upper limit of normal (ULN)) were common (7 mg, 64.2%; 14 mg, 62.1%); increases >3×ULN were similar across groups (7 mg, 12.3%; 14 mg, 12.1%). Mild decreases in neutrophil counts occurred; none led to discontinuation. The incidence of malignancies was comparable to that of the general population, and cases were not reminiscent of those observed in immunocompromised patients. Annualised relapse rates remained low, minimal disability progression was observed, with a dose-dependent benefit with teriflunomide 14 mg for several MRI parameters. CONCLUSION: Teriflunomide had a favourable safety profile for up to 8.5 years. Killestein J, Rudick RA, Polman CH. 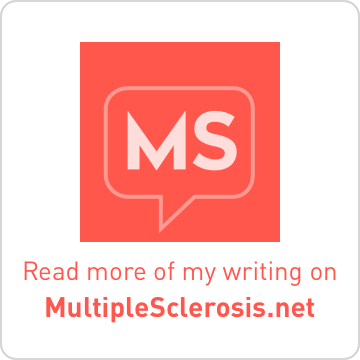 Oral treatment for multiple sclerosis. Lancet Neurol. 2011 Nov;10(11):1026-34. BACKGROUND: The armamentarium for the treatment of relapsing-remitting multiple sclerosis (RRMS) is increasing rapidly. Several oral treatments have shown benefit and will generate much interest because of the convenience of such administration. However, availability of convenient oral drugs will not necessarily translate into clinical effectiveness and safety. Here, we provide an interim report about the mechanisms of action, and efficacy and safety results that have been reported since January, 2010, for five new oral drugs. Additionally, we draw attention to issues that neurologists and patients will encounter when considering the use of new oral drugs. RECENT DEVELOPMENTS: Positive results have been reported for five new oral drugs for RRMS--fingolimod, cladribine, teriflunomide, laquinimod, and dimethyl fumarate--in phase 3 studies; a few new oral drugs are likely to be approved for RRMS soon. WHERE NEXT? : Emerging oral treatments are ushering in a new era in the treatment of MS, providing not only new treatment options but also new challenges. Since data for some of the new drugs have not been reported in peer-reviewed journals yet and safety profiles are not yet fully developed, opinions about the use of these new oral drugs in practice are preliminary and tentative. Practice will evolve with time as information and experience accumulates. Of importance will be results from comparator trials, information about management of patients with breakthrough disease, results from long-term safety studies, and results of studies to assess the potential for neuroprotective effects of the new drugs. O'Connor P, Wolinsky JS, et al. Randomized trial of oral teriflunomide for relapsing multiple sclerosis. N Engl J Med. 2011 Oct 6;365(14):1293-303. BACKGROUND: Teriflunomide is a new oral disease-modifying therapy for relapsing forms of multiple sclerosis. METHODS: We concluded a randomized trial involving 1088 patients with multiple sclerosis, 18 to 55 years of age, with a score of 0 to 5.5 on the Expanded Disability Status Scale and at least one relapse in the previous year or at least two relapses in the previous 2 years. Patients were randomly assigned (in a 1:1:1 ratio) to placebo, 7 mg of teriflunomide, or 14 mg of teriflunomide once daily for 108 weeks. The primary end point was the annualized relapse rate, and the key secondary end point was confirmed progression of disability for at least 12 weeks. CONCLUSIONS: Teriflunomide significantly reduced relapse rates, disability progression (at the higher dose), and MRI evidence of disease activity, as compared with placebo. (Funded by Sanofi-Aventis; TEMSO ClinicalTrials.gov number, NCT00134563.). Nicholas R, Giannetti P, et al. Development of oral immunomodulatory agents in the management of multiple sclerosis. Drug Des Devel Ther. 2011;5:255-74. Epub 2011 May 10. Abstract: The emergence of oral disease-modifying therapies in multiple sclerosis (MS) will have a significant impact on the evolving scenario of immunomodulatory treatments in MS where current therapies are all injectable. Reducing relapses in trials translates for individuals with MS into a therapeutic aim of stopping future events. Thus the possible absence of any perceived benefits to the individual together with the long disease course, variable outcome, and a younger age group affected in MS makes side effects the major issue. The use of disease-modifying therapies as a whole needs to be placed in the context of a widening therapeutic indication where the use of these therapies is being justified at an increasingly early stage and in pre-MS syndromes such as clinically isolated and radiologically isolated syndromes where no fixed disability is likely to have accumulated. The five oral therapies discussed (cladribine, fingolimod, laquinimod, BG-12, and teriflunomide) have just completed Phase III studies and some have just been licensed. New oral drugs for MS need to be placed within this evolving marketplace where ease of delivery together with efficacy and side effects needs to be balanced against the known issues but also the known long-term safety of standard injectables. Krieger S. Multiple sclerosis therapeutic pipeline: opportunities and challenges. Mt Sinai J Med. 2011 Mar-Apr;78(2):192-206. doi: 10.1002/msj.20241. Abstract: The year 2010 marked the beginning of the era of oral medications for the treatment of multiple sclerosis, with the approval of dalfampridine to improve walking and fingolimod as the first oral disease-modifying agent. This review provides an overview of these and other emerging therapies, with an emphasis on the opportunities for new treatment paradigms they have the potential to offer, followed by a discussion of the challenges they will pose in the new era of multiple sclerosis management. Therapeutics in late-stage development for MS include non-selective immunosupressants, targeted immune-modulators, and monoclonal antibodies. Oral agents including cladribine, teriflunomide, laquinimod, and dimethyl fumarate, as well as monoclonal antibodies alemtuzumab, daclizumab, and rituximab are considered. Potential side effects and adverse event monitoring, including opportunistic infections, emergent malignancies, and other systemic consequences of immunosuppression are discussed in a unified section. Challenges of optimally staging, sequencing, and combining treatments in the expanding multiple sclerosis armamentarium are discussed. This review emphasizes the multifactorial decision making that these new therapeutics will warrant in terms of patient selection and personalization/individualization of therapy, and the increasingly interdisciplinary approach that will be necessitated by the new generation of agents. Jadidi-Niaragh F, Mirshafiey A. Therapeutic approach to multiple sclerosis by novel oral drug. Recent Pat Inflamm Allergy Drug Discov. 2011 Jan;5(1):66-80. Abstract: Multiple sclerosis (MS) is a chronic inflammatory autoimmune disease of the central nervous system and the most common cause of neurological disability in young adults, along with a considerable clinical and pathological heterogeneity. Since, current therapies appear to be modest in the magnitude of their treatment effects, particularly in the progressive phase of this disease, thus novel promising therapeutic strategies might open a light horizon in approaching to an efficient treatment in MS. In this review, we will discuss about relevant patents and novel designed immunosuppressive and anti-inflammatory oral drugs promising for treatment of multiple sclerosis. Palmer AM. Teriflunomide, an inhibitor of dihydroorotate dehydrogenase for the potential oral treatment of multiple sclerosis. Curr Opin Investig Drugs. 2010 Nov;11(11):1313-23. Abstract: Teriflunomide, being developed as a potential oral treatment for multiple sclerosis (MS) by sanofi-aventis, is the active metabolite of the rheumatoid arthritis drug leflunomide. Both teriflunomide and leflunomide are inhibitors of the mitochondrial enzyme dihydroorotate dehydrogenase, which is critically involved in pyrimidine synthesis. The production of activated T-cells largely depends on de novo pyrimidine synthesis, and thus pyrimidine depletion is thought to result in the inhibition of immune cell proliferation. Therapeutic efficacy of teriflunomide has been demonstrated in vivo in an experimental autoimmune encephalomyelitis model of MS using Dark Agouti rats. In a phase II, randomized, double-blind, placebo-controlled clinical trial of patients with relapsing-remitting MS, treatment with teriflunomide reduced the number of active lesions in the brain and preliminary evidence indicated a slowing in the development of disability. Recently reported data from the phase III TEMSO clinical trial support these initial findings. Compared with current therapies, teriflunomide has the advantage of oral administration. Thus, if good efficacy is demonstrated, teriflunomide may have a role to play in the future treatment of MS.
Barten LJ, Allington DR, et al. New approaches in the management of multiple sclerosis. Drug Des Devel Ther. 2010 Nov 24;4:343-66. Abstract: Multiple sclerosis (MS) is a central nervous system chronic inflammatory disease that is characterized by an extensive and complex immune response. Scientific advances have occurred in immunology, pathophysiology, and diagnostic and clinical assessment tools, and recent discovery of unique therapeutic targets has spurred numerous Phase II and Phase III clinical trials. Reductions in MS relapse rates and improvements in T₂ or gadolinium-enhancing lesion burdens have been reported from Phase III trials that include fingolimod, alemtuzumab, cladribine, and rituximab. Promising Phase II trial data exist for teriflunomide, daclizumab, laquinimod, and fumarate. The optimism created by these favorable findings must be tempered with evaluation of the adverse effect profile produced by these new agents. Given the discovery of progressive multifocal leukoencephalopathy with the use of natalizumab, ongoing vigilance for rare and life-threatening reactions due to new agents should be paramount. Patients with MS often experience difficulty with ambulation, spasticity, and cognition. Recent clinical trial data from two Phase III dalfampridine-SR trials indicate certain patients receive benefits in ambulation. This article provides an overview of data from clinical trials of newer agents of potential benefit in MS.
Warnke C, Meyer zu Hörst G, et al. Review of teriflunomide and its potential in the treatment of multiple sclerosis. Neuropsychiatr Dis Treat. 2009;5:333-40. Epub 2009 Jun 10. Abstract: In the light of new cases of progressive multifocal leukoencephalopathy and induced autoimmunity in multiple sclerosis (MS) patients who received treatment with upcoming disease-modifying immunosuppressant drugs with a highly specific mode of action such as natalizumab, rituximab, or alemtuzumab, alternative oral treatment options for a subgroup of less severely affected MS patients are a major focus of drug development. These agents are currently investigated in phase III clinical trials and some of them are characterized by a favorable safety profile. 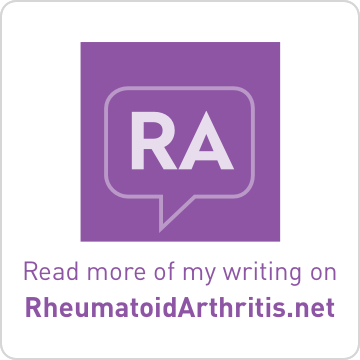 With an emphasis on teriflunomide, the active metabolite of an immunosuppressant approved for the treatment of rheumatoid arthritis since 1998, a number of oral treatment options for patients with MS are discussed. O'Connor PW, Li D, et al. A Phase II study of the safety and efficacy of teriflunomide in multiple sclerosis with relapses. Neurology. 2006 Mar 28;66(6):894-900. BACKGROUND: Teriflunomide, a dihydro-orotate dehydrogenase inhibitor, has immunomodulatory effects, including the ability to suppress experimental allergic encephalomyelitis. In this randomized, double-blind, placebo-controlled Phase II study, the authors examined the safety and efficacy of oral teriflunomide in multiple sclerosis (MS) with relapses. METHODS: Patients (n = 179) with relapsing-remitting MS (n = 157) or secondary progressive MS with relapses (n = 22) were randomized to receive placebo, teriflunomide 7 mg/day, or teriflunomide 14 mg/day for 36 weeks. MRI brain scans were performed every 6 weeks. The primary endpoint was the number of combined unique active lesions per MRI scan. Secondary endpoints included MRI-defined disease burden, relapse frequency, and disability increase. RESULTS: The median number of combined unique active lesions per scan was 0.5, 0.2, and 0.3 in the placebo, teriflunomide 7 mg/day (p < 0.03 vs placebo), and teriflunomide 14 mg/day (p < 0.01 vs placebo) groups during the 36-week double-blind treatment phase. Teriflunomide-treated patients also had significantly fewer T1 enhancing lesions per scan, new or enlarging T2 lesions per scan, and new T2 lesions. Patients receiving teriflunomide 14 mg/day had significantly reduced T2 disease burden. Teriflunomide treatment resulted in trends toward a lower annualized relapse rate and fewer relapsing patients (14 mg/day only) vs placebo. Significantly fewer patients receiving teriflunomide 14 mg/day vs placebo demonstrated disability increase. Treatment was well tolerated; numbers of adverse events and serious adverse events were similar in all treatment groups. CONCLUSION: Oral teriflunomide was effective in reducing MRI lesions and was well tolerated in patients with relapsing multiple sclerosis. CAMBRIDGE, Mass. – September 12, 2012 – Genzyme, a Sanofi company (EURONEXT: SAN and NYSE: SNY), announced today that the U.S. Food and Drug Administration (FDA) has approved AUBAGIO® (teriflunomide) as a new once-daily, oral treatment indicated for patients with relapsing forms of multiple sclerosis (MS). AUBAGIO has shown significant efficacy across key measures of MS disease activity, including reducing relapses, slowing the progression of physical disability, and reducing the number of brain lesions as detected by MRI. The FDA approval was based on efficacy data from the TEMSO (TEriflunomide Multiple Sclerosis Oral) trial. In the Phase III TEMSO trial, AUBAGIO 14 mg significantly reduced the annualized relapse rate (p=0.0005) and the time to disability progression (p=0.0279) at two years versus placebo in patients with relapsing forms of multiple sclerosis. AUBAGIO 7 mg significantly reduced the annualized relapse rate (p=0.0002) in the trial. 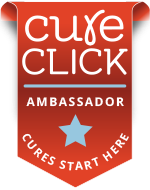 The labeling for AUBAGIO was also informed by the estimated 2.1 million years of patient exposure globally since the launch of leflunomide, which is indicated in the U.S. for the treatment of rheumatoid arthritis. Teriflunomide is the principal active metabolite of leflunomide. Severe liver injury including fatal liver failure has been reported in patients treated with leflunomide. Please click here for full Prescribing Information for once-daily oral AUBAGIO (teriflunomide), including boxed warning and contraindications, for treatment of Relapsing Multiple Sclerosis. The AUBAGIO clinical development program in MS also included the recently reported TOWER study. TOWER assessed the efficacy and safety of once-daily, oral AUBAGIO in patients with relapsing forms of multiple sclerosis (MS). In the study, patients receiving teriflunomide 14 mg had a statistically significant reduction in annualized relapse rate and risk of disability progression. In addition, a significant reduction in annualized relapse rate was observed in patients treated with teriflunomide 7 mg compared to placebo. Adverse events observed in the trial were consistent with previous clinical trials with teriflunomide in MS. Analysis of the full TOWER data is ongoing and results will be presented at a forthcoming scientific meeting. As part of its commitment to MS patients, Genzyme has developed the MS One to One™ program. MS One to One provides information about multiple sclerosis, AUBAGIO and other relevant resources and is available and staffed by dedicated MS nurses and highly trained representatives who can provide support for individuals living with MS, their health care providers, family and loved ones. For more information about these support services, call the MS One to One line at 1-855-MSOne2One (1-855-676-6326) Monday through Friday, from 8:30 a.m. to 8:00 p.m. ET. Information and support are also available at www.MSOnetoOne.com. Marketing applications for AUBAGIO are under review by the European Medicines Agency (EMA) and other regulatory authorities. Sanofi ($SNY) won a badly needed FDA approval Wednesday for its oral multiple sclerosis drug Aubagio (teriflunomide). And soon after the news hit a representative for Sanofi subsidiary Genzyme said that the MS treatment will be priced at $45,000 a year, angling in to grab market share. "The price of Copaxone is 7% more," the rep added. "The price of Avonex is 8% more and the price of Gilenya is 28% more than the price of Aubagio." The new treatment was filed for approval by Sanofi's biologics arm, Genzyme, which will now handle the marketing. "In a clinical trial, the relapse rate for patients using Aubagio was about 30 percent lower than the rate for those taking a placebo," commended Dr. Russell Katz, director of the Division of Neurology Products in the FDA's Center for Drug Evaluation and Research. 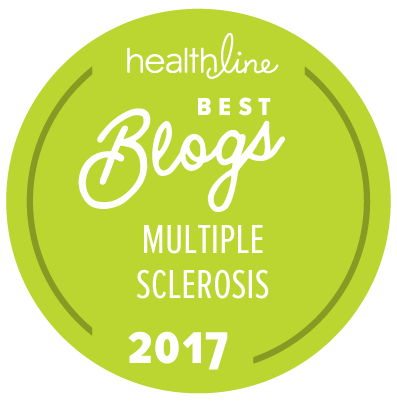 "Multiple sclerosis can impair movement, sensation, and thinking, so it is important to have a variety of treatment options available to patients." "We'll stack up quite well with what's out there," David Meeker, the CEO at Genzyme, tells FierceBiotech. All of the drugs available carry warnings about significant side effects. And the injectables on the market present an added burden for the population that oral drugs can eliminate. "I do predict movement," he added about the patients and physicians considering treatment regimens. "There's going to be a significantly increased willingness to try new things." And after Lemtrada makes it through the approval process on MS, where it's given a good shot at an approval, the Genzyme MS franchise will grow. "These new drugs will be highly complementary, providing meaningful choices." For Sanofi, the agency's approval marks a key win after a lengthy drought of new approvals. In the next step, Sanofi will work to steal a march on Biogen Idec ($BIIB), which has won the spotlight on MS with its experimental MS drug BG-12. The Aubagio program, which was transferred over to its biologics arm Genzyme as it seeks an OK on Lemtrada as well, failed to beat out the injectable Rebif. The key challenge here, though, will be Aubagio's ability to gain market share among new oral therapies. But some analysts aren't hopeful that the newly approved treatment can come close to blockbuster status. "We doubt the drug will seriously affect Gilenya or Tysabri, where prescriptions are largely driven by efficacy," Berenberg Bank's Alastair Campbell told Bloomberg. Datamonitor assessed peak sales at just a little above $350 million for the top global commercial markets, according to a report from Reuters. The approval will bolster CEO Chris Viehbacher as he continues to push a big shakeup on the R&D side of the business. But it may not be welcomed by the company's French employees, who are staging a strike today to protest deep cuts anticipated for the European side of the operation. R&D hasn't always been easy at Sanofi. Weeks after Genzyme filed its application for Lemtrada as a new treatment for multiple sclerosis, regulators handed the NDA back, telling the biologics arm of Sanofi that it needs to complete a rewrite before they can properly assess it. But the Aubagio sign-off follows an important approval for its cancer division. Just days ago Sanofi got its first green light for Zaltrap, a cancer drug developed with Regeneron ($REGN). It's a second-line approval, in a market already dominated by Roche's ($RHHBY) Avastin and Bristol-Myers Squibb's ($BMY) Erbitux. But it's a step forward after a couple of oncology setbacks--and a first step toward hundreds of millions in sales. Hi Lisa! I'm wondering if you are going to change? I sure would like to get off of Methotrexate for my RA and since this seems to have a track record with RA? I have my neuro appt on Monday. Thanks, as always for all your helpful research. Right now I have no plans to switch meds. Methotrexate and Rituxan are working well for me for both diseases. When I asked my neuro nurse about her opinion on Aubagio, she was not too enthused about it because of the risk profile. But knowing that it 'might' be an opinion down the road is nice. So how did your appointment go? Sorry I didn't get back to you before Monday.